Make Your Own Invitations With A Fun And Personal Touch! Do it yourself invitations are a fun way to create your wedding and party invites while saving you some money and giving your event a unique style and flair! It's all in those little handmade details! Within these pages you will find ideas, tips, and step by step tutorials to help you make your own invitations! Planning a wedding? A birthday party? Or maybe a baby shower? The invitations you choose can set the tone of the entire event. The Party truly begins with the invites! Why not make your own? With Do It Yourself Invitations you can truly have an invite that is a one of a kind. Make them your own, infused with your style and creativity! Create unique invitations with a personal touch. 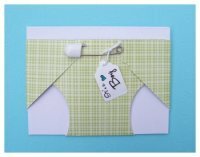 Handmade invites are invites with a one of a kind sense of style and personality! When you make your own invitations you have the ultimate freedom in design. You get the exact color palette, materials, and wordings that you may want. There is no searching the ends of the earth for that perfect dream invite, or settling for less. Do it yourself invitations are uniquely you! AND you get exactly what you want. Print fabulous, chic invitations using our printable invitations and templates. Avoid huge costs and print them yourself. Add personality and flair by choosing unique fonts. I'll show you different ways to use desktop publishing and typesetting to make your invitation look crisp and well put together. Save precious dollars from your party planning budget! 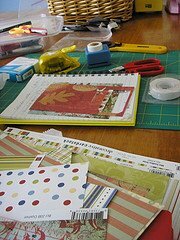 With proper planning and a little know how you really can save a lot of money by making homemade invitations. Especially where weddings are concerned. If you're super careful and follow my tips you can avoid the dreaded DIY money pit and actually save a heap of moula! 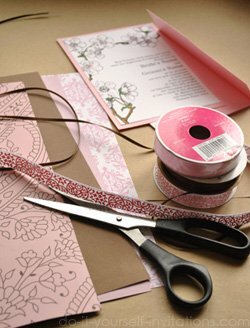 Make Your Own... couture and handmade wedding invitations, fun and crafty birthday invitations, sweet and sassy baby shower invitations, homemade party and holiday invites and greetings cards! Browse through the Do It Yourself Invitations website and get started! Use the ideas, tutorials and templates on Do it yourself invitations to create just about any kind of invitation you could dream of! If there was ever a better reason to make your own invites it would be a wedding. It is the perfect opportunity to unleash your creative side and truly save a fortune. We've got everything from semi-DIY invitations, to DIY pocketfolds and pochettes, and even free printable wedding invitations. 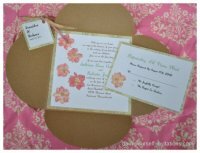 Visit our weddings section and learn all about how to make your own wedding invitations. Making birthday invitations is a great creative, family fun craft and kids activity! Show the birthday girl or boy's true colors and give them a birthday they will never forget with a one of a kind and personalized handmade birthday invitations. 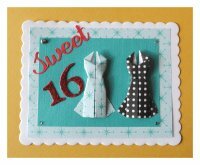 Our DIY Birthday section features many creative ideas to make your own birthday invitations. Baby showers are so sweet and special. Creating handmade items with a personal touch is a true testament to the sentimentality of the moment. The Momma-to-be will remember her baby shower forever! 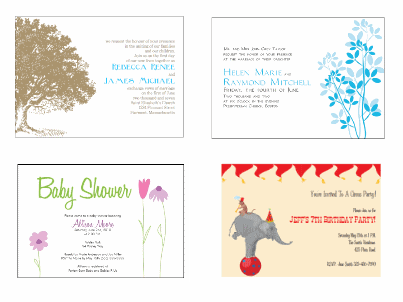 Our baby shower section features many creative ideas, and even free printable invitations and invitation templates to help you make your own baby shower invitations. The ultimate in do it yourself invitations and kits! We've got everything from printable quarter fold invitations for decorating and making handmade invitations, to interactive PDF invitation templates sets. We've got freebies galore or you can even browse our shop. Our sets include everything from stand alone invites, to complete party and wedding sets including STD's, response cards, favor tags, programs, table and place cards, and more! 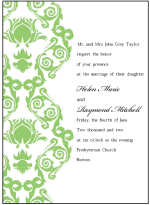 Visit the printable invitation templates page. Here's where you can join in on the fun at Do It Yourself Invitations and show off all of your homemade invitation creations! Help inspire others or just showcase your artistic expertise. 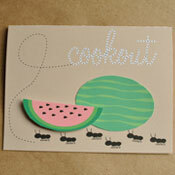 Join us in Homemade Invitation Show and Tell! Any and all of the invitations on Do It Yourself Invitations can be changed to match your own creative vision. Change the color and patterns of the papers. Change a few things here and there and you've got a whole new invitation! So don't stop at one design. Take off your coat and stay awhile. Take a look around and get comfortable and get creative. 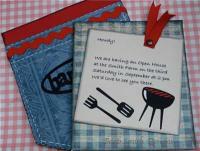 With a little patience and an open mind you could create the perfect one of a kind invitation. I promise to use it only to send you DIYI invitations Ezine.